Help fourth graders solidify their knowledge of multiplication by teaching them the distributive property and how it can aid them in solving problems. The distributive property is a great tool to help with mental math and simplifying larger multiplication problems. 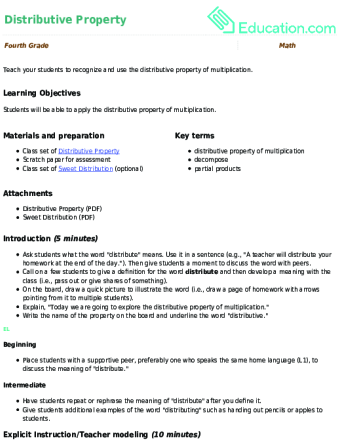 Use this scaffolded resource with your students as an introduction to the distributive property. Teach your students to recognize and use the distributive property of multiplication. Your students are on their way to mastering large number multiplication, so now it's time to step it up a notch! Challenge your students with this resource that requires them to solve multiplication word problems using the distributive property. 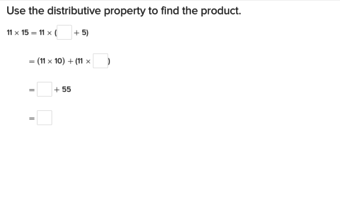 Give your students practice using the distributive property with this math resource! This worksheet will help your students gain a stronger foundational understanding of multiplication and increase their confidence in solving problems with big numbers. Support your students as they use the distributive property to help with mental math and simplifying larger multiplication problems. Use this resource with your young mathematicians as they gain proficiency with the distributive property. 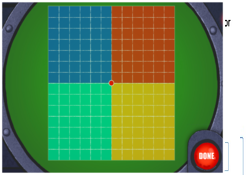 This great resource will help your students see the visual side of multiplication! With this exercise, your young mathematicians will draw area models and use the distributive property to solve tough multiplication problems. Multiplying large numbers can be intimidating! This helpful exercise reinforces how to simplify this task by breaking apart numbers with the Distributive Property. 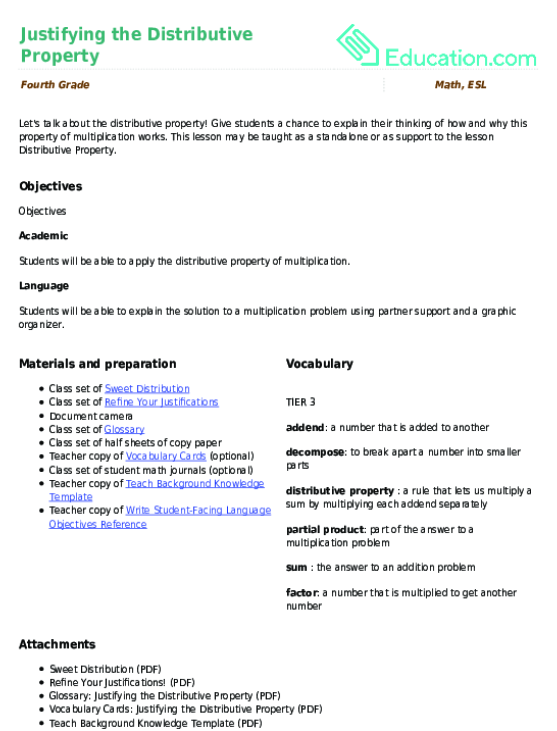 Use this glossary with the EL Support Lesson: Justifying the Distributive Property. Let's talk about the distributive property! Give students a chance to explain their thinking of how and why this property of multiplication works. This lesson may be taught as a standalone or as support to the lesson Distributive Property.